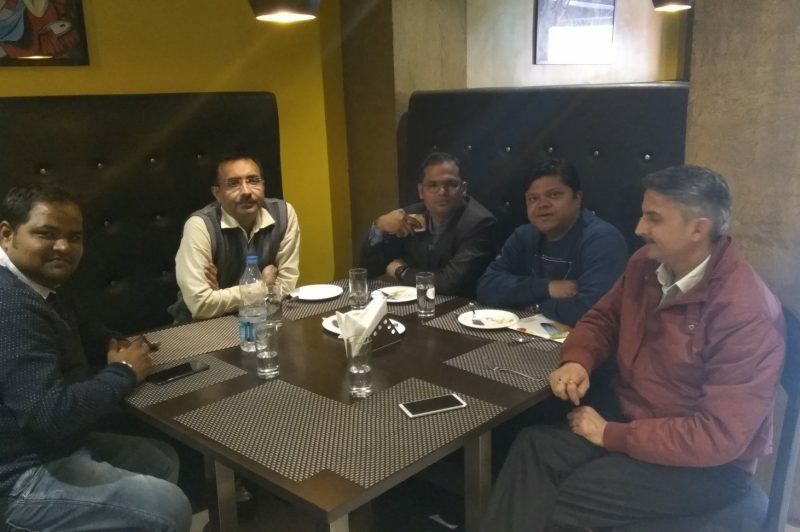 Jaipuria Institute of Management, Indirapuram, Ghaziabad hosted a lunch with the Alumni who are working in Gorakhpur on 9th January 2019. 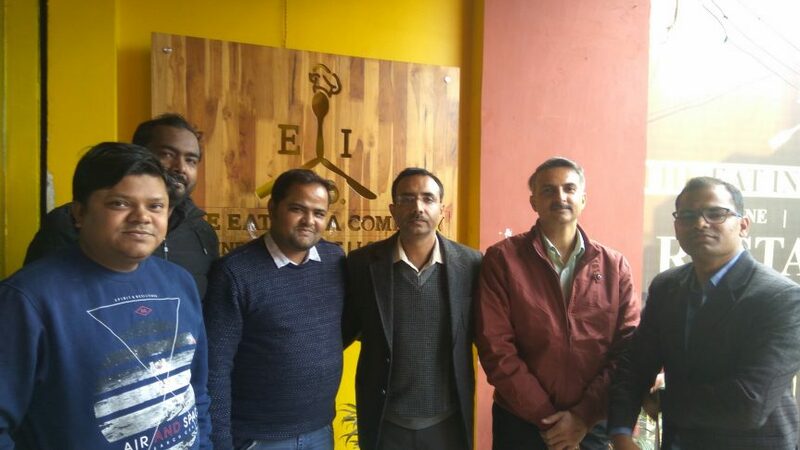 Dr. Ajay Tripathi, Associate Professor, and Mr. Manish Mishra, Placement Manager interacted with Mr. Sanchit Srivastava MBA Batch 2010-12, Mr. Aditya MBA Batch 2010-12, Mr. Ata Kareem, MBA Batch 2011-13, Mr. Ashish Jaiswal, MBA Batch 2005-07 who shared their views and experiences about their MBA journey and their professional life after MBA. They also discussed the challenges faced during their startup in the city like Gorakhpur. 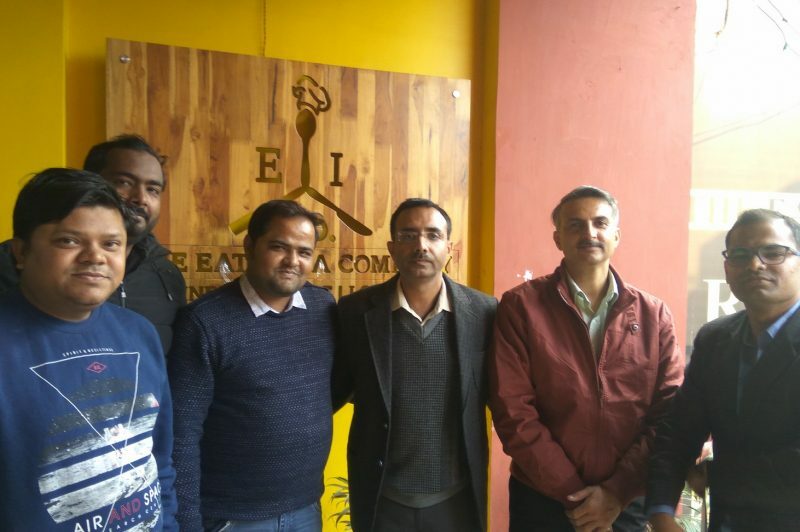 Mr. Sanchit who has started his own restaurant “The Eat India Company” in the heart of the city provided an insight into the industry and shared his journey from one restaurant to another one. Mr. Ashish also shared his eventful journey from a 9 AM to 5 PM job in Delhi/NCR to starting up his own venture in his home town. Mr. Ata Kareem a known manufacturer of plywood of the city shared his journey as an entrepreneur. Overall the Alumni Entrepreneurs Meet was really interactive. Everyone was highly overwhelmed to know the growth of the institute, the activities & events organized recently by the institute. The objective of this lunch was to create networking opportunities for the alumni to interact with current subject experts who guide them through the business world even after completion of the course as a life long mentor.